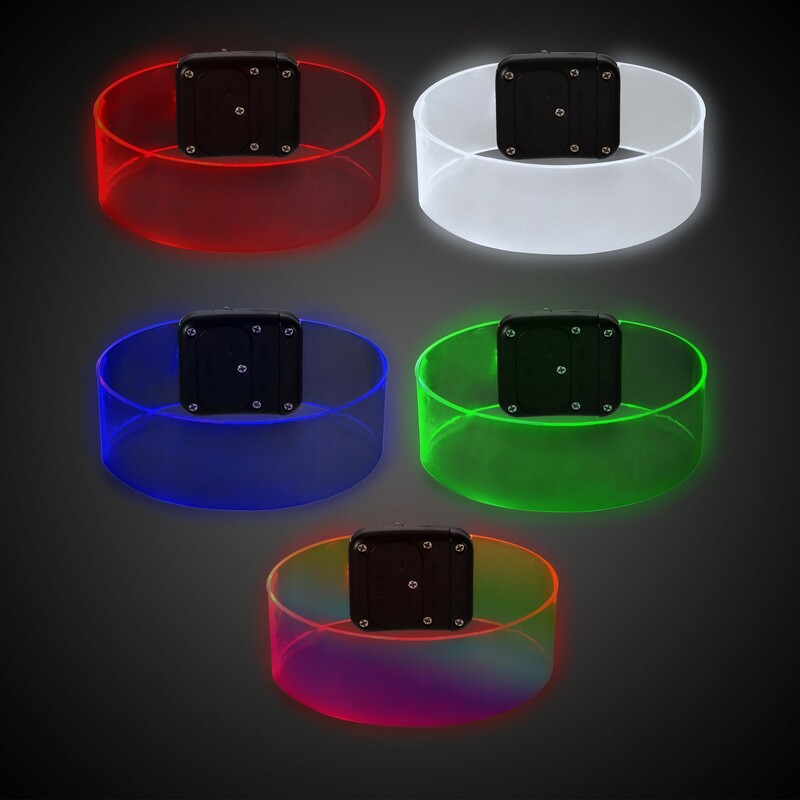 Light up your guests with our brightly lit LED Magnetic Bracelets! Bright LED lights shine along each thin, flexible, clear bracelet making it perfect for any nighttime event! Turn it on by sliding the switch up for a steady on light; simply slid the switch back down to turn it off. Each clear bracelet measure 8" long x 1" wide and comes complete with a magnetic clasp. 2 replaceable CR1220 batteries are included and installed. 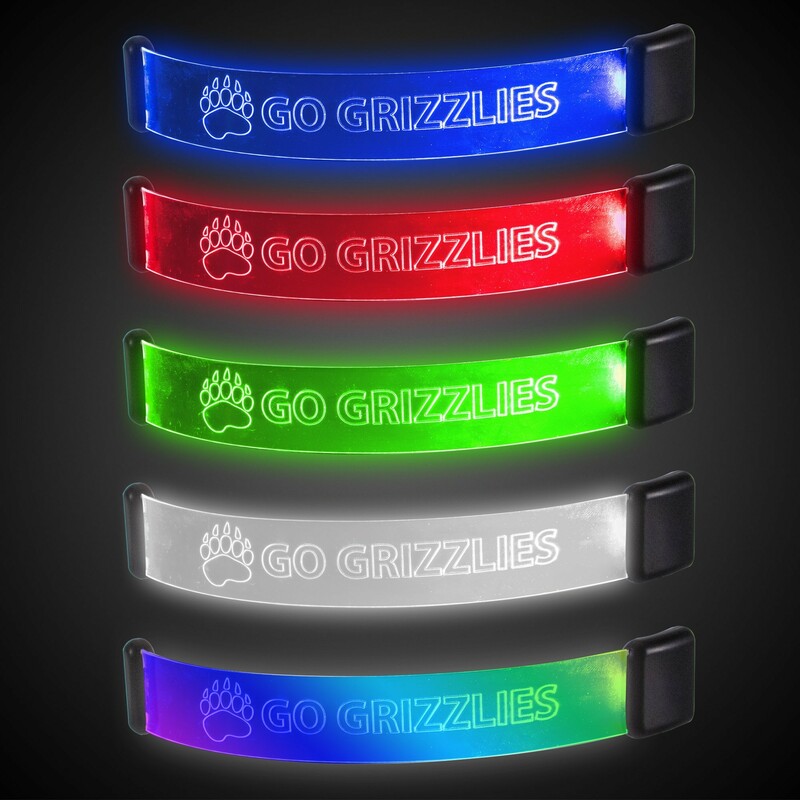 Our amazing LED Magnetic Bracelets are perfect for raves, parties, promotional giveaways, nighttime events, ribbon awareness, nighttime runners, or anywhere our Laser Bracelets fits your theme. 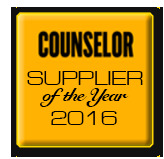 Call for custom imprinting for an unforgettable memento at your next event!